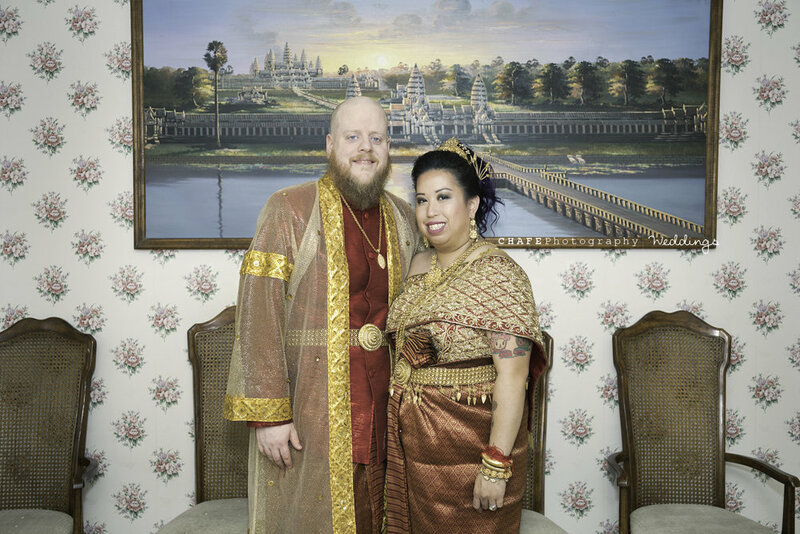 The Cambodian ceremony was so colorful and full of beautiful meaningful traditions. 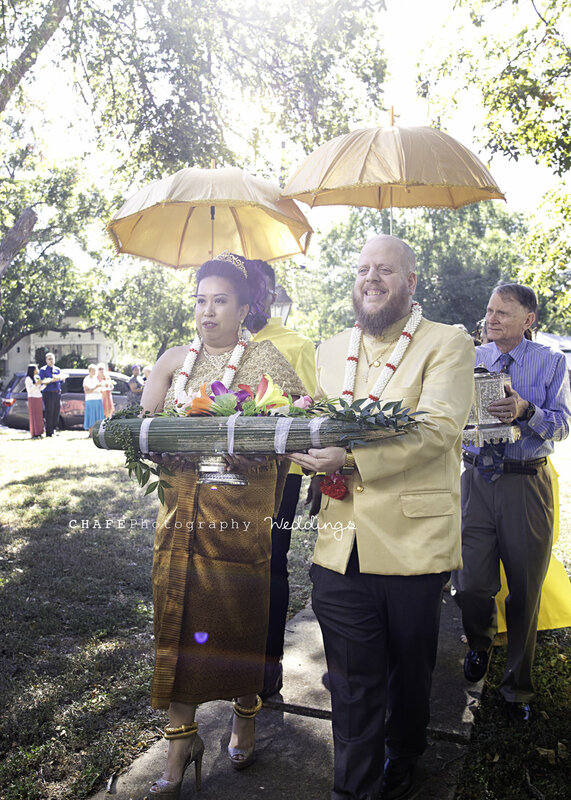 It started with the Groom’s Processional or parade where the groom followed by the wedding guests “go to the brides home” and present gifts to her family and meet the bride. 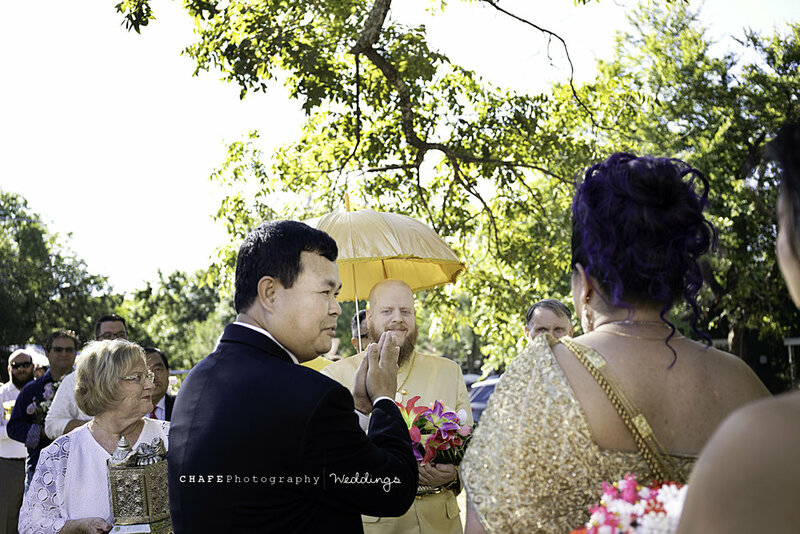 Then there was a prayer and ring ceremony where the bride and groom exchanged rings. Next there was a clothing change where the bridal party changed into stunning blue costumes. Next they had a hair cutting ceremony where each guest pretended to cut the hair of both Tavy and Rob and blessed them good wishes for their future. 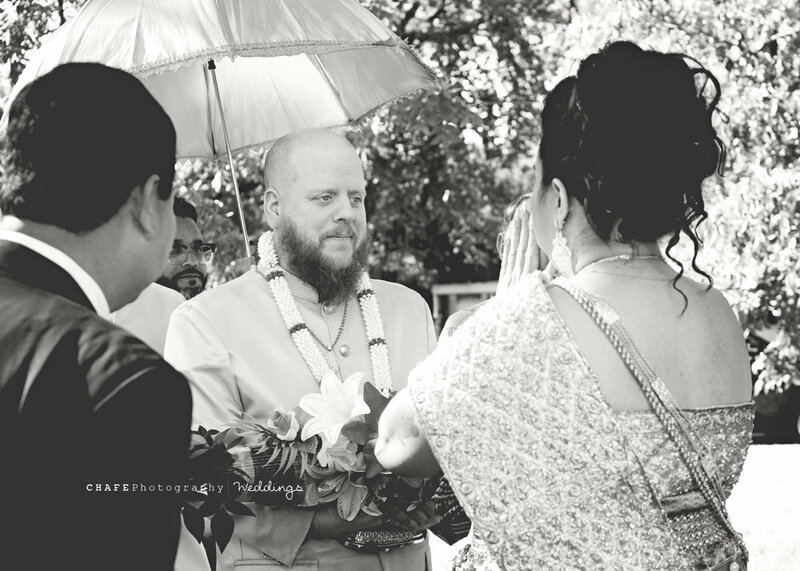 The symbolism of this ceremony is to cleanse the couple of the past and get them ready to start their new lives together. Then Tavy and Rob changed into their final outfit change, beautiful gold and red outfits. 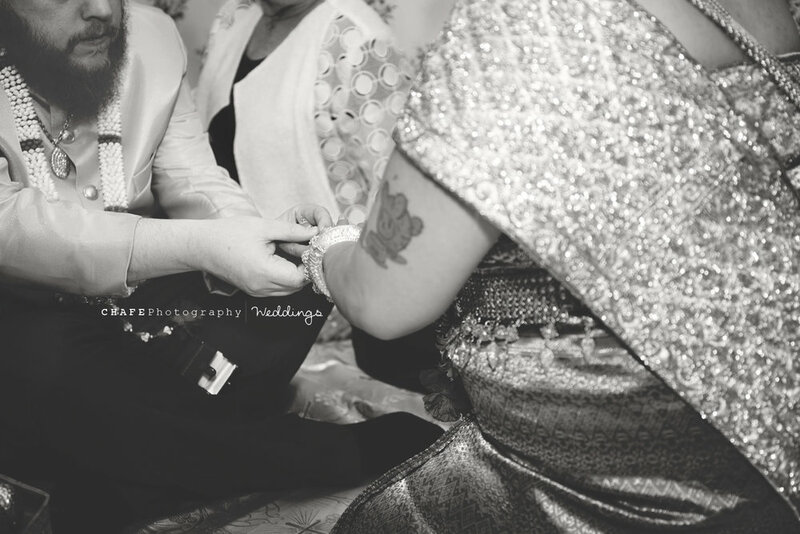 They had a Knot-tying ceremony where red strings were provided and each guest tied a string around the wrist of the bride or groom. This ceremony each guest gets to give their well wishes and blessings to the couple and each guest gets to take a photo with the couple. At the end of this ceremony guests threw rice to congratulate the couple. 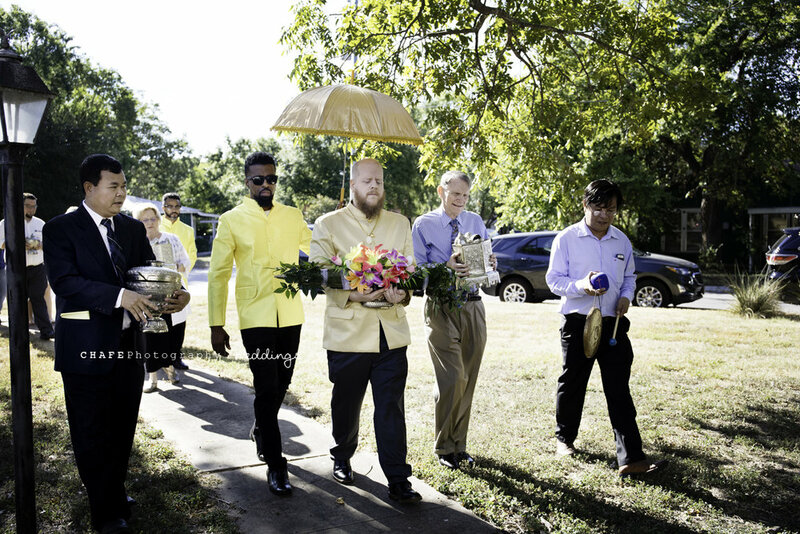 I loved how many ceremonies there were and how each one was filled with so much meaning and love. 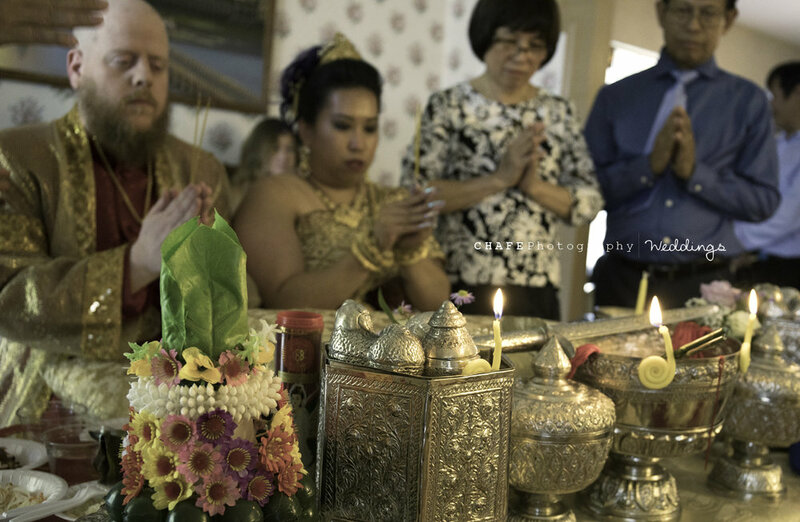 I appreciate that each guest got to participate in the ceremonies and while the wedding party was changing clothes the guests could eat and mingle with each other. 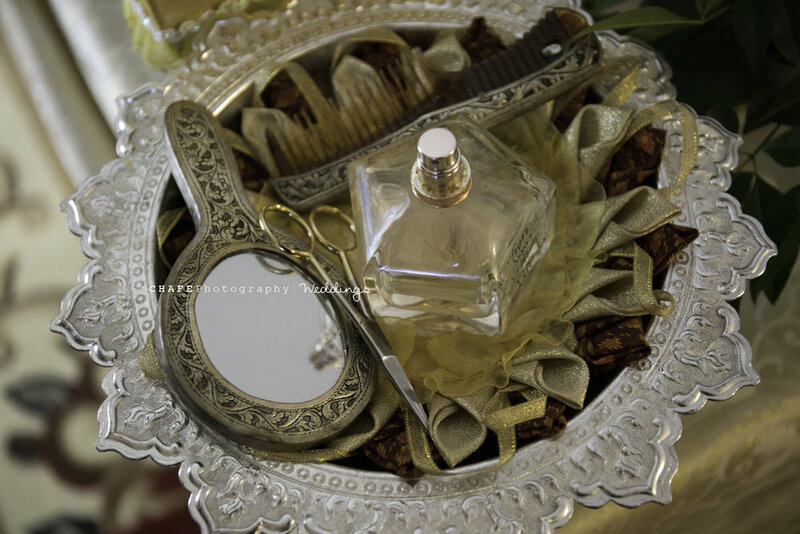 It was a truly beautiful wedding and I couldn’t be happier that I get to share and capture it for Tavy and Rob. Stay tuned for part 2 of their wedding, coming soon!